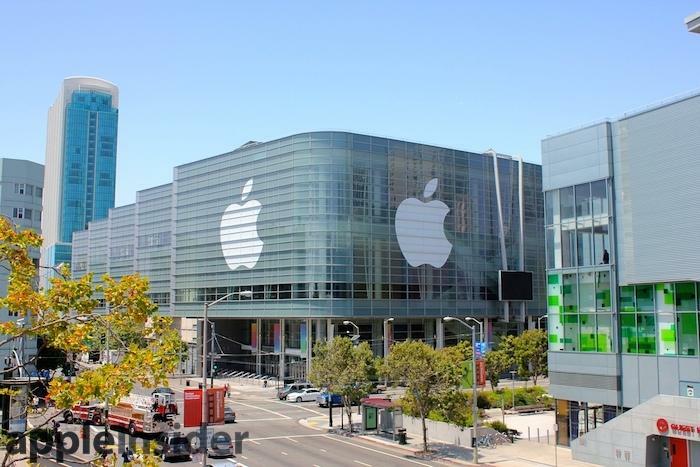 Apple's Worldwide Developer Conference is the longest running developer confab in existence, dating back to 1986. With a lineage like that, it shouldn't be hard to recall that the week-long event is focused squarely on the company's development platforms. Initially, Apple's WWDC was an outreach program intended to help third party coders tackle low level tasks on the then-new 512K Macintosh. As developer Andrew Wulf recalled, the small event was held at the Fairmont Hotel. When Apple invited all of its attending developers on a "casino night" San Francisco Bay cruise, Wulf noted that "many of us joked that all IBM had to do was sink the boat and the Mac was doomed." Wulf added, "It was a pretty exciting time to be a Mac developer since the market was so small and the future seemed limitless," a perspective that shifted during the early 1990s as Microsoft's Windows grew into prominence and Apple began failing to deliver upon its initiatives, from Copland to QuickDraw GX. By 1996, WWDC had become "Apple's annual attempt to lie to developers," but that rapidly began to change after the return of Steve Jobs, who aggressively canceled a wide series of vaporware and stalled projects and retargeted Apple upon delivering a practical, working platform for developers to add value to with their software. WWDC for Mac, iOS developers: "Write the code. Change the World"
Up until 2006, Apple's annual WWDC was all about the Mac. Beginning in 1997, the event began to increasingly focus on the company's emerging OS X platform, built upon the foundation of Jobs' NeXT. That transition required lots of work at Apple, but also buy-in from Apple's third party developers, who all needed to rewrite their apps to take advantage of the new platform. Developers initially asked Apple to do more work to support old Mac code ("Carbon") on the new system first, which resulted in delays that kept the Classic Mac OS alive until 2002 and kept Apple from even shipping a consumer version of OS X for developers to directly target until 2001. Over the next five years, the company rapidly released a series of major updates, notably unveiling a new migration to Intel processors (from PowerPC) in 2005. In 2007, the Mac gained a costar with "iPhone OS X," later named iOS. However, the ability to natively code iPhone apps didn't begin until 2008. Apple's new mobile iOS was so closely related to the desktop OS X that both platforms use the same development tools and involve many of the same technologies, making it easy for OS X and iOS to share the same stages for the week long event. With the 2010 introduction of iPad, Apple rapidly began taking over new markets in the enterprise, where 93 percent of new corporate apps target iOS. The halo of iPad and iPhone app development has also reinvigorated Mac app development, particularly in pro apps that target the new GPU centric architecture of the Mac Pro, a subject first introduced at last year's WWDC, before the Mac Pro had even been officially introduced. This year's WWDC therefore has a fitting theme: "Write the code, Change the world." In 2011, Jobs outlined a new umbrella of cloud services branded as iCloud. Rather than just simple cloud storage, Apple strived to build a new app-centric iCloud capable of supporting a new incremental changes architecture in OS X which saved every step users took, allowing them to automatically save documents the same way they worked on them, with the ability to undo each action taken. The new Versions architecture was built into OS X and integrated with Time Machine, and eventually flourished into a cross platform iCloud document system designed to allow apps on both the Mac and iOS devices to both open and work on the same documents. Apple pioneered a demonstration of how to do this in its own iWork apps: Pages, Numbers and Keynote. In 2012, Apple again made iCloud an equal costar with iOS 6 and OS X Mountain Lion with a new focus on Documents in the Cloud. Last year, Apple acknowledged that third party developers were running into a variety of problems in using Documents in the Cloud, and announced that rather than trying to add new features, it had instead focused upon fixing bugs. 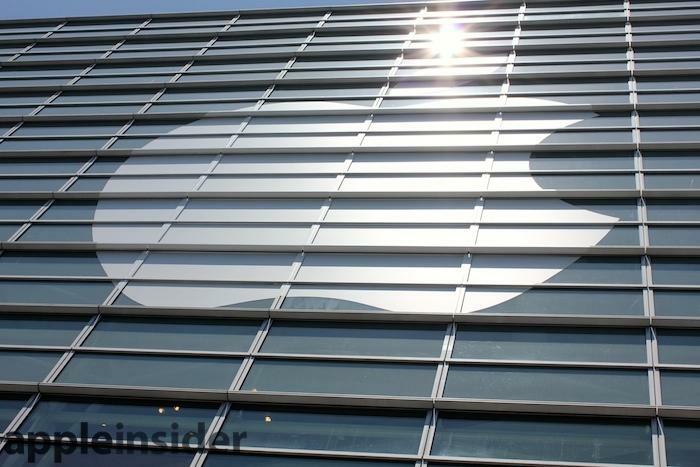 This year, Apple will again have lots to say about iCloud. WWDC kicks off with a Keynote Address open to the general media (and since last year, streamed to the public). However, the rest of the week-long program is kept a secret shared only with developers who have signed a Non-Disclosure Agreement. In part, this seems to allow Apple to let down its guard, enabling the company's 1,000 engineers that it sends to the event to speak frankly and rather openly with the 5,000 outside developers who attend, without worrying about how every word that's said might be construed and twisted by journalists who don't really understand what's going on--or even worse, the vitriolic, scathing critics from certain online blogs who work so hard to construct delusional fantasies of Apple's impending collapse from every crumble of grumble they can find. In past years, Apple has announced hardware releases, including the Retina Display iPhone 4 back in 2010. That occured the year Apple pulled out of Macworld Expo. Since then, however, Apple has optimized its product launches to occur during peak sales seasons. For both iPhone and iPad, that has been the fall, right when both products are poised to take advantage of the holiday season in the West, followed by Chinese New Year in the East. 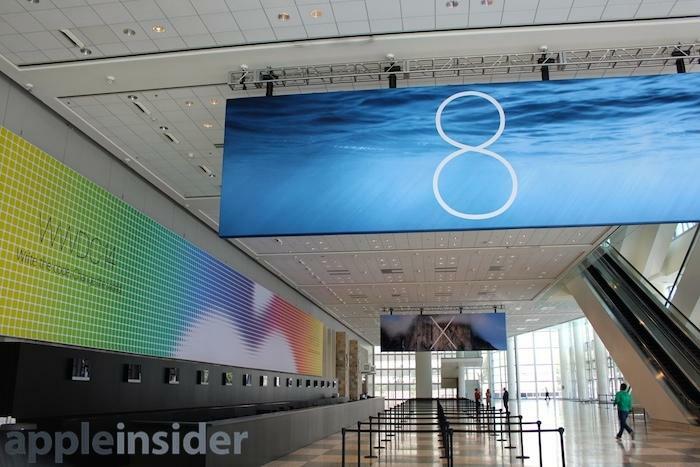 iMacs follow the same release schedule, while other Macs have been released throughout the year, sometimes at WWDC. 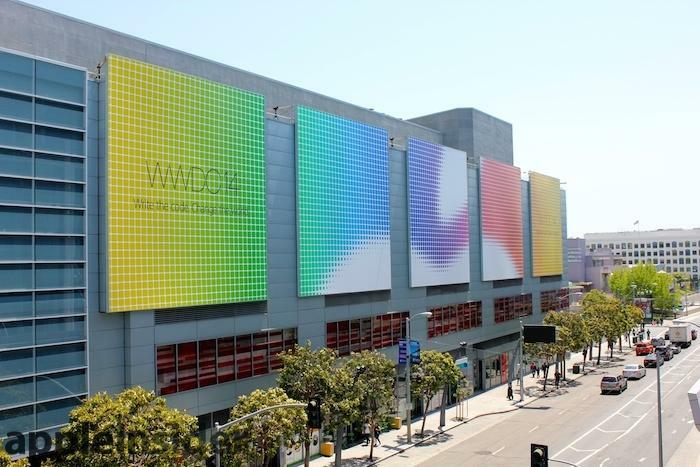 WWDC ends Apple's annual "quiet period"
In between the winter holidays and WWDC are a span of months that have become Apple's "quiet period," when competitors have a window to release their own products. The general media hasn't quite figured this out yet, as they continue to foment irritated rage over why Apple hasn't entertained them with new products releases, all without any real awareness that the sum total of all of Apple's global competitors haven't really introduced anything interesting over the first half of the year either. In 2009, Palm launched its webOS during Apple's quiet period, and the following year Google and Verizon launched their "Droid" Android 2.0 initiative, both of which collapsed. In 2011, Google again took advantage of Apple's quiet period to launch Android 3.0 Honeycomb tablets, which again failed at launch. In 2012, so many companies launched products during the quiet period--the one time of the year that Apple doesn't capitalize upon--that nobody's introductions really stood out at all. Last year, Samsung's multi-billion dollar ad campaign allowed it to overshadow everyone else with the Broadway themed extravaganza that introduced the Galaxy S4, but in the end the media eventually came to the realization that all Samsung had to show were a series of app-like features that didn't even work well. There was no real platform, and little for developers to work with. There most certainly wasn't a week long event targeting what has become the world's most important mobile development platform. Even Samsung's own attempt to copy WWDC has fallen flat, because the primary technology Samsung wants developers and enterprise users to take advantage of (Knox security) isn't being used by business customers, despite the company's efforts to "lead by following." 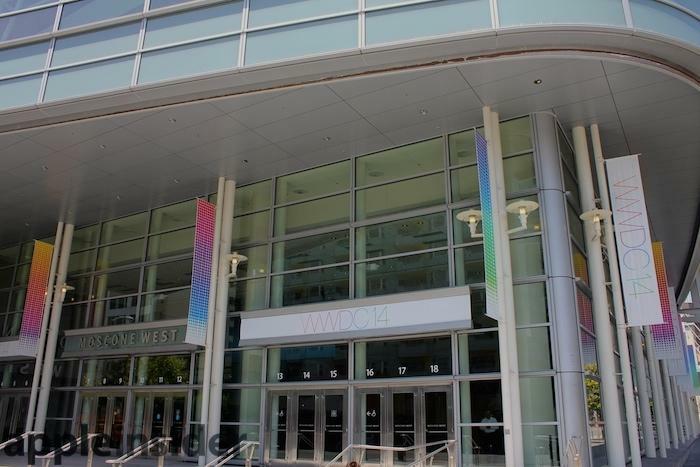 This year, Apple will be live streaming its WWDC Keynote on the web and via Apple TV, breaking its quiet period in a particularly loud fashion.